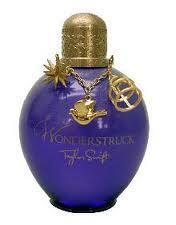 Simply fill out the form and you will receive an exclusive sample of Taylor Swift’s magical new fragrance, WONDERSTRUCK. One per customer, while supplies last. Entries must have complete valid information to be fulfilled. This is running very slow right now. Give it a lot of time to load. Mine took a while! You will receive your sample within 4-6 days. This special sample will only be shipped to US and US Territories. Sorry, it’s not available for shipment to Canada, however Canadians can visit their local Shoppers Drug Mart to sample WONDERSTRUCK. I want it so badlyy! !